Are you a VBSR member? Show your support for our organization by displaying our logo on our website and/or marketing materials. Right click to download the image of your choosing (we prefer the purple but leave it up to you!). Contact us if you need eps versions. 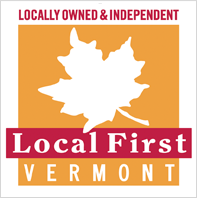 VBSR members who meet the eligibility for Local First Vermont membership may also use these logos.